Hello readers! 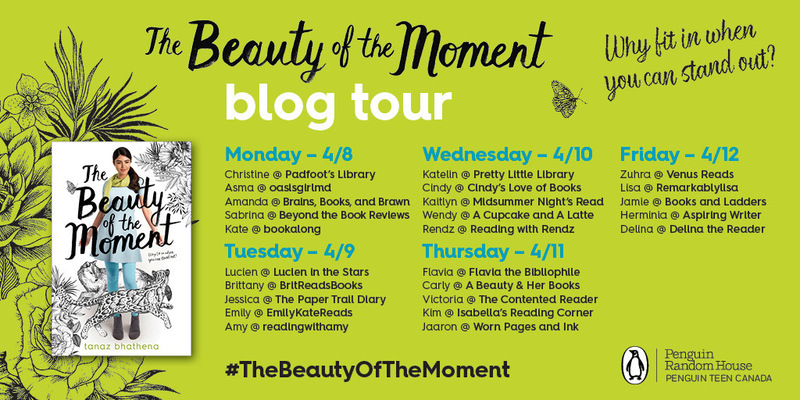 I know it's been quite some time, but today I am excited to announce that I was apart of the The Beauty of the Moment Blog Tour hosted by the lovely people over at Penguin Teen Canada. Today on my stop I will be sharing with you my review and a brief excerpt. Enjoy! I love every author mentioned and incorporated into this challenge, however, I have not read every single book scheduled. I am excited to either read these new books or reread some of my favorites. The month of January was a busy one, so I unfortunately did not get to participate in the read along and chat, but I am looking forward to Mosquitoland. Hello readers! Today I have some very fun and exciting news, there will be someone new joining my blog. It's been a long time coming, and after my first year of university, I found it to be a real struggle to keep up with my blog posts. During one of my lectures, I met my co-blogger. She's absolutely fantastic, and we really started talking after we completely fangirled over some of our favorites. I know that I was not as active this past year, but I hope this could all start to change! The purpose of this post is to introduce my new Co-Blogger so that once she starts posting on OUR (going to take some time getting used to that) it won't be a surprise to your guys. Wow, it's been forever since my last review... 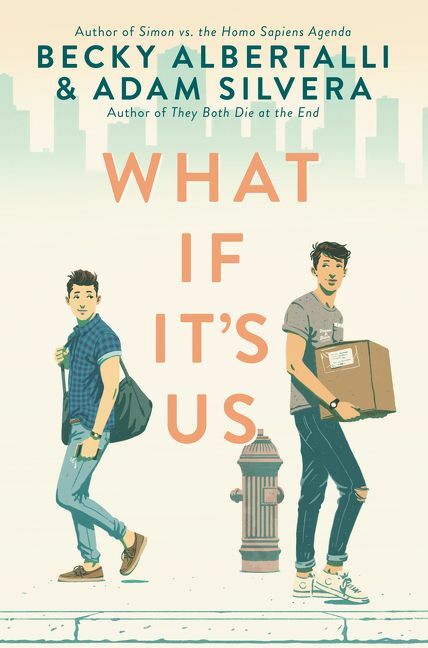 BUT that is okay because I am super happy to be reviewing What if it's Us by Becky Albertalli and Adam Silvera. When I found out that there was going to be a collaboration between Becky Albertali and Adam Silvera I freaked out. Both authors hold very dear places in my heart, so I was sure that this book would just be astounding. What if it's Us met all my expectations. This book brought humor, pop culture references, and heartbreak together in a way that felt new and original. Hello readers! 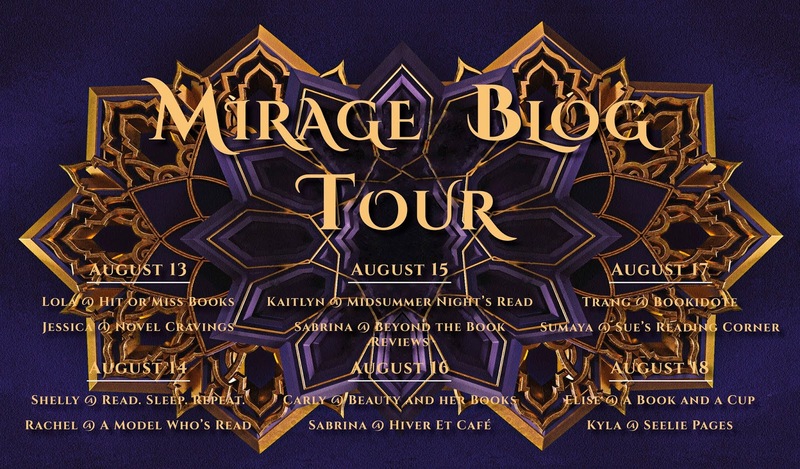 I know it's been quite some time, but today I am excited to announce that I was apart of the Mirage Blog Tour hosted by the lovely people over at Raincoast books. Today on my stop I will be sharing with you my review and a brief excerpt. Enjoy! Description:In a star system dominated by the brutal Vathek empire, eighteen-year-old Amani is a dreamer. She dreams of what life was like before the occupation; she dreams of writing poetry like the old-world poems she adores; she dreams of receiving a sign from Dihya that one day, she, too, will have adventure, and travel beyond her isolated moon. Kirkus wrote "Though the machinations of politics and identity create a slowly burning narrative, readers will appreciate the rich world and prose built by a much-needed diverse voice." and I'd have to say that I completely agree with this statement. The world building of this book was phenomenal, and though I sometimes found myself lost among the politics, it didn't make the story any less interesting. The characters also had great character building and story lines. This book is action pack filled with raging internal conflicts due to the way the world is ran. However, that did not lead away from the romance that was within this book. The book's romance wasn't a focal point, nor did it draw away from the main plot. However, it was there and it was done in a way that supported the story. The romance also allowed for the story to have a little lightheartedness to it. My only complaint is that of which I mentioned in the first paragraph, due to the politics I found it to be a little slow at times. However, it did not take away from my reading experience whatsoever. All in all, I would highly recommend this book to fantasy lovers, and everyone above. 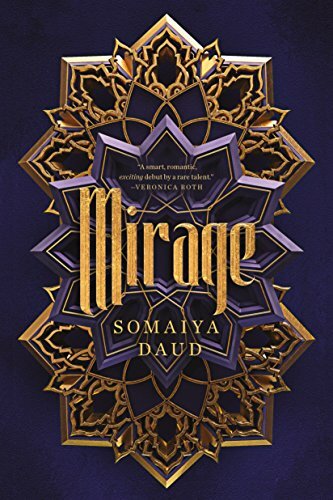 This book is lyrical and I cannot wait to read the sequel to Mirage. He is the only one of his family without the daan. They say this makes him ideal; no traditional markings on his face to identify him should he die. No way to trace him back to his family. He is young, not yet fifteen, too young for the daan ceremony. This is what she says to him when she comes to choose him. That he is young and that he is skilled and that he is steady. This, she says, is all that matters. He does not feel young. He feels hungry, the sort of hungry that gnaws at him day and night, until it is so much his companion he does not know how to live without it. He feels hard, because he knows how to take a beating, how to fall just so when a guard hits him with a baton. He feels angry, so angry, the sort of anger that does not need fuel. The crowd is silent, but then the crowds at these events are always silent. They are solemn. Too solemn. The nobles sit on velvet cushions behind gold rope, but those who stand, who look up at the podium waiting for her to appear, they are the poor. The hungry. The weak. They are here because they must be here. The makhzen titter among themselves like jeweled birds, gowns glittering in the sunlight, scabbards flashing as men shift in the uncomfortable summer air. It is a wonder any of them are Andalaan; they all look Vathek now. They have accepted Vathek rule. They would not dress so, not if they truly were Andalaan in their hearts. He thinks of his younger sister as he moves through the crowd. Dead for two summers now, her stomach bloated from hunger. His father, long gone, too weak to support them, to stay. The sun flashes against the silver metal of his blaster. He lifts it, aims, fires.